You are sensitive about your little one, which is only natural. They're so small, so pure, so gentle. And of course, you don't want anything harmful to touch their delicate skin. For that, you'll want a wipe as sensitive and caring as you are. 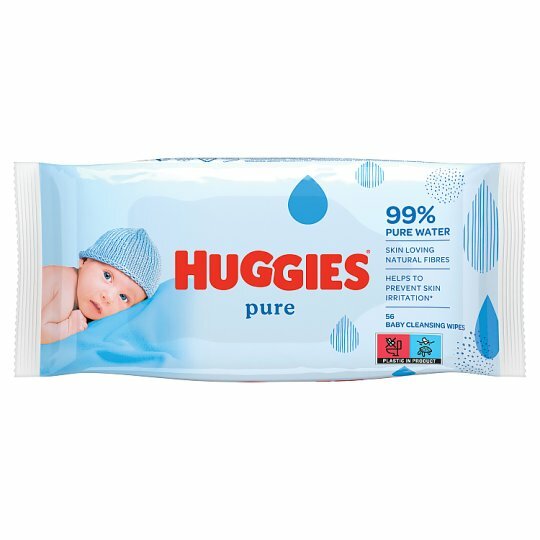 Huggies® Pure Baby Wipes, made with skin loving natural* fibres, gently clean and protect baby's delicate skin. With 99% pure water and no fragrance, being hypoallergenic and clinically tested. The purity of water and the touch of Huggies® provides gentle, natural care for your baby.